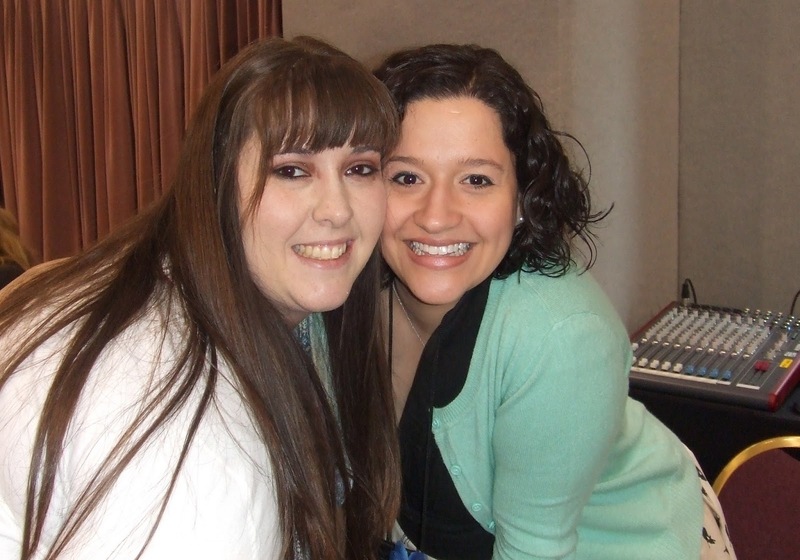 Last weekend after finishing finals I was able to attend the RT Booklovers Convention in Kansas City, Missouri! Usually book conventions are held in Chicago which is a 9 hour drive from where I live or way down in Texas so it was great to be able to attend a convention a mere 5 hours from Vermillion! At the convention I ended up getting 15 books from home signed and using all the self-restraint I have I only bought 2 books. I did go a little crazy at the Half-Price books stores in Kansas though, to make up for it! 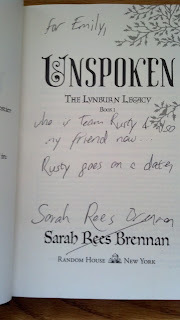 The Highlight of the convention for me was finally getting to meet Sarah Rees Brennan! 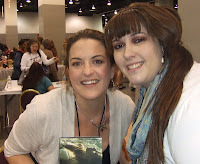 She was just as awesome in person as she is on page and signed my copies of Unspoken and The Demon's Surrender. She was also kind enough to give me this awesome necklace and the first chapter of Untold! 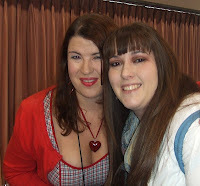 Sarah Rees Brennan and I! 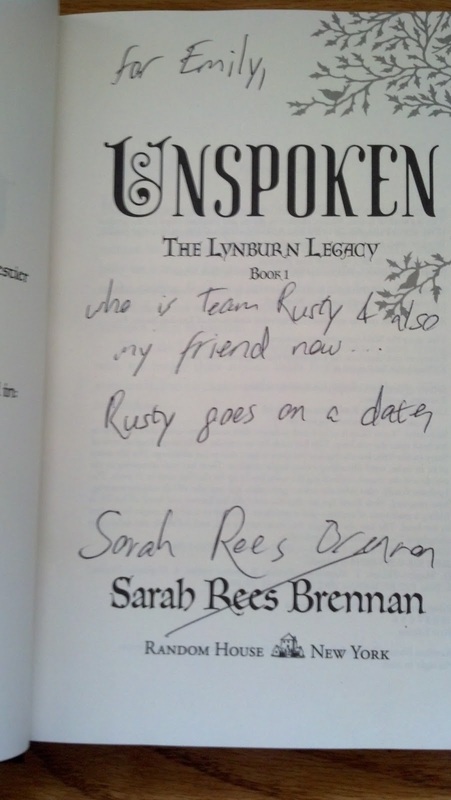 Upon hearing that I am Team Rusty she gave me a spoiler. In Untold, Rusty goes on a date (SUPER VAGUE). Now I just have to wait until August to find out who he goes on a date with! All in all the convention was awesome and I can not wait to attend more in the future! I wanted to go soooo bad! It looks like so much fun. 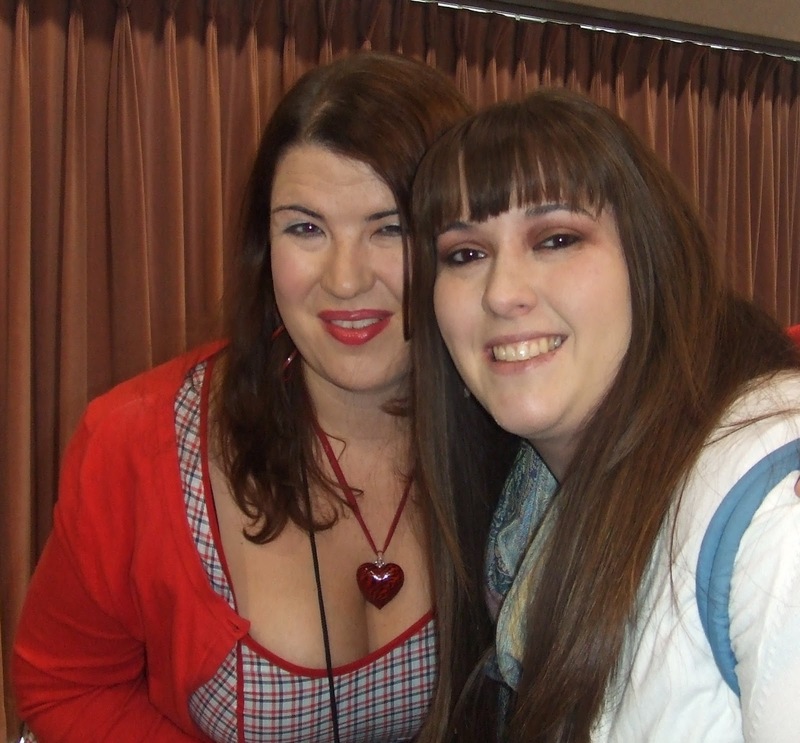 The closet I've ever been to a convention was Comic Con in San Diego! This does look like fun! very restrained only buying 2 books! well done!